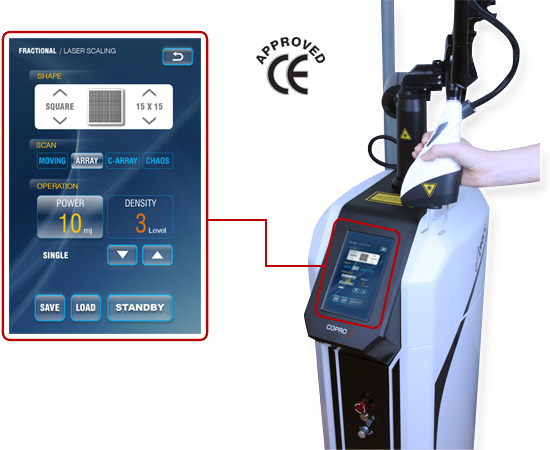 COPRO III, is the top quality Surgical CO2 laser resurfacing system has a dual system for CO2 surgical and fractional laser system which has CW, PW, Ultra and fractional laser modes. It has various tips for adjustable scanning controls allow for faster treatments. COPRO III’s multiple treatment modes gives treatment convenience for resurfacing and tailor procedures. 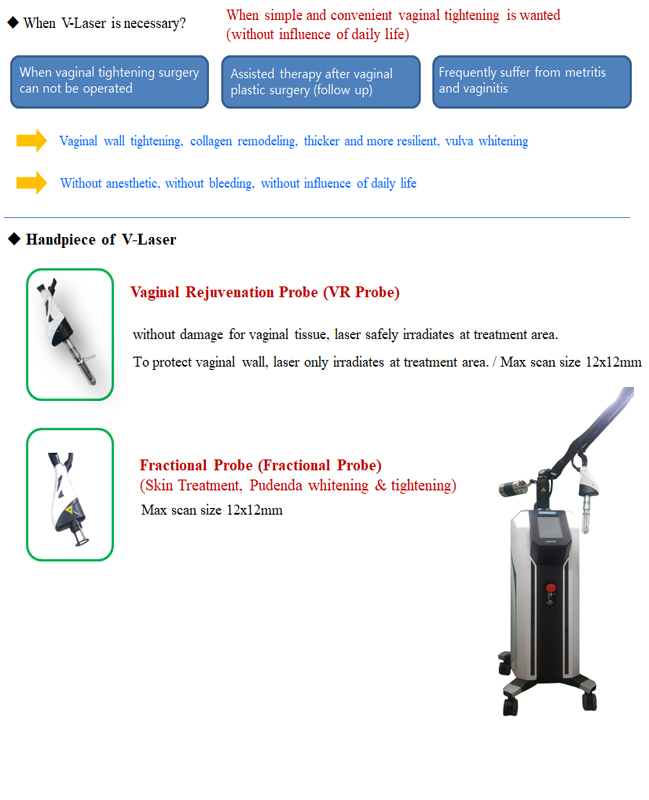 COPROIII’s the surgical CO2 Laser, is the best choice for general soft tissue surgery because the intense heat from the Laser beam produces the benefits of virtually painless, less bleeding, reduced risk, reduced infection and less scarring. User-friendly design and compactness are advantages of COPROIII for every laser types such as Ultra, CW and PW.